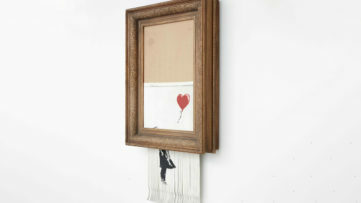 Ever since the rumors about Banksy’s new project started circling around the general public, media and especially his fans were nervously expecting to see if they come true. 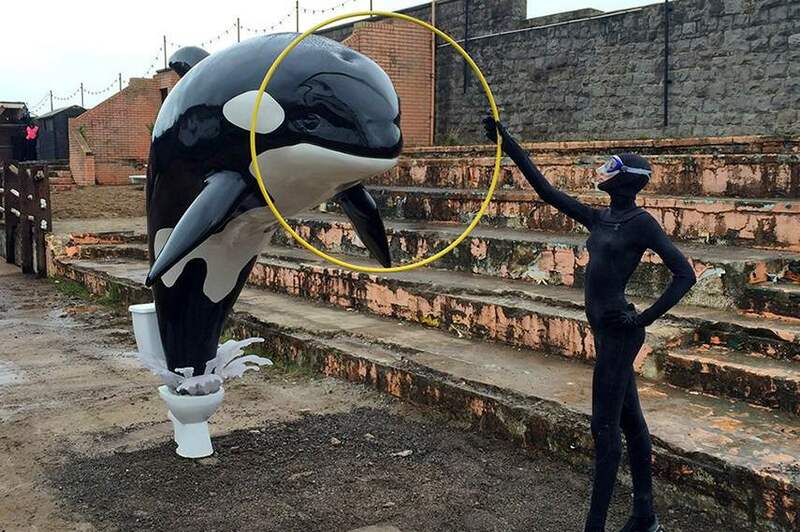 Now that the Dismaland is open the images of his biggest project to date are breaking the Internet. 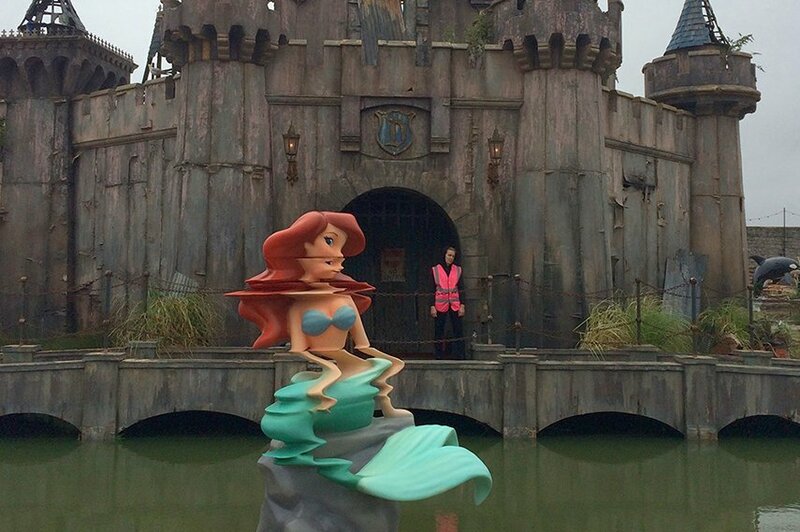 Everyone is excited to know what is there to see in this parody of Disneyland. 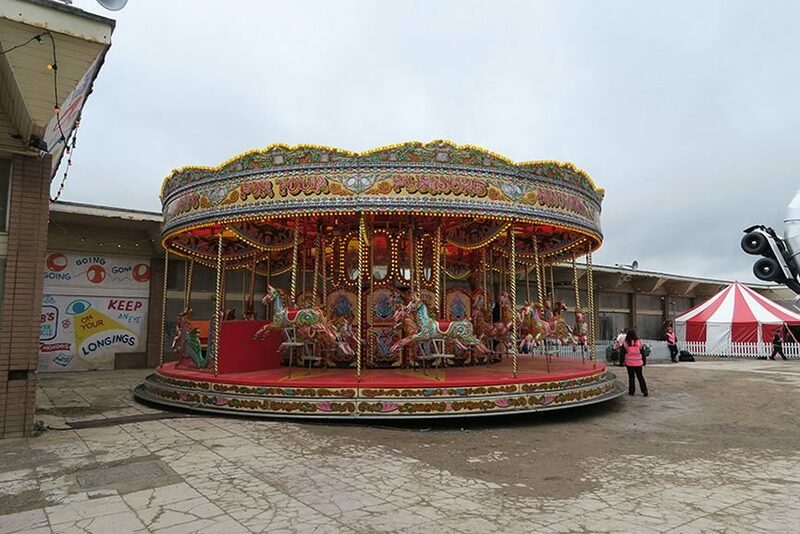 In the following paragraphs we are taking a closer look of what’s inside Banksy’s theme park and how he plans to bemuse the visitors in the following weeks. 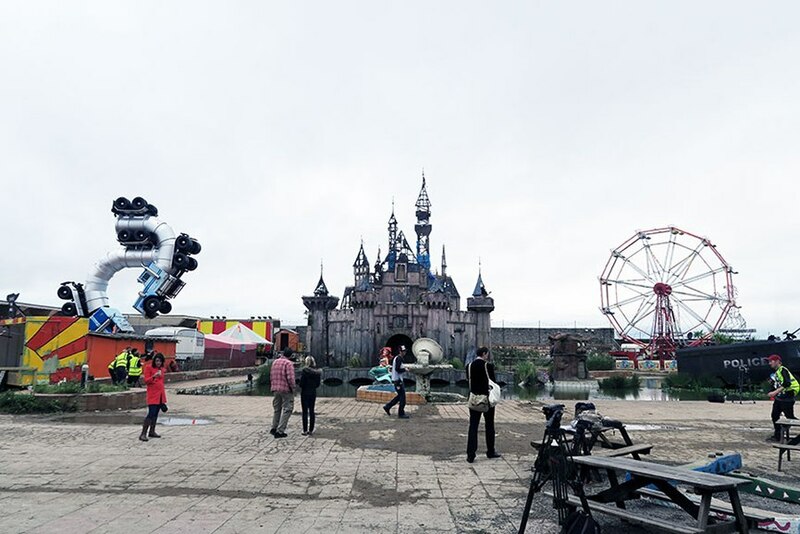 Banksy’s distorted version of Disneyland attractions brings the princess castle where real princesses live and where fairytales are not blessed with the happiest ending. 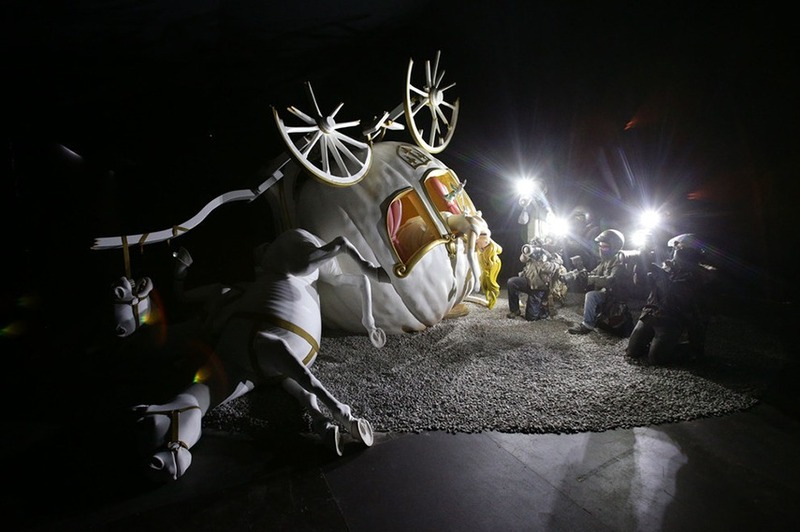 When he said that his Bemusement project wasn’t suitable for the younglings he was surely right as his Cinderella’s Castle is bound to brake the hopes and dreams of any little boy or girl emotionally attached to some famous Disney characters. 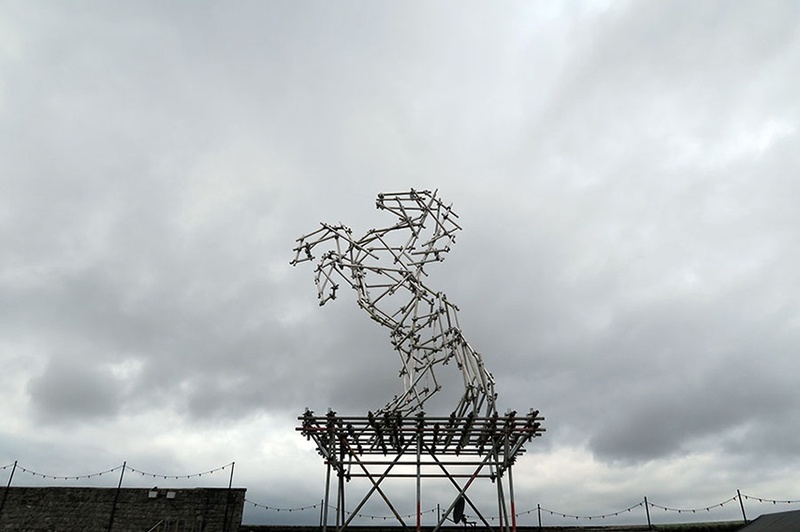 Possibly two of the biggest installations placed on the Weston-super-Mare ground are the Stallion created out of scaffolding by Ben Long and Big Rig Jig, a large-scale interactive piece by Mike Ross made in 2007. 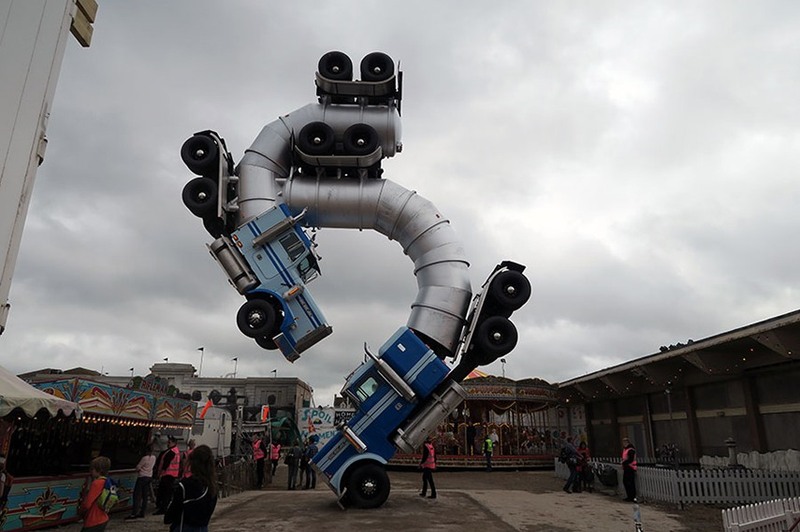 The sculpture was originally built for the Burning Man Festival at the American Steel art fabrication shop in Oakland, California, as a commentary of America’s unsustainable oil economy. 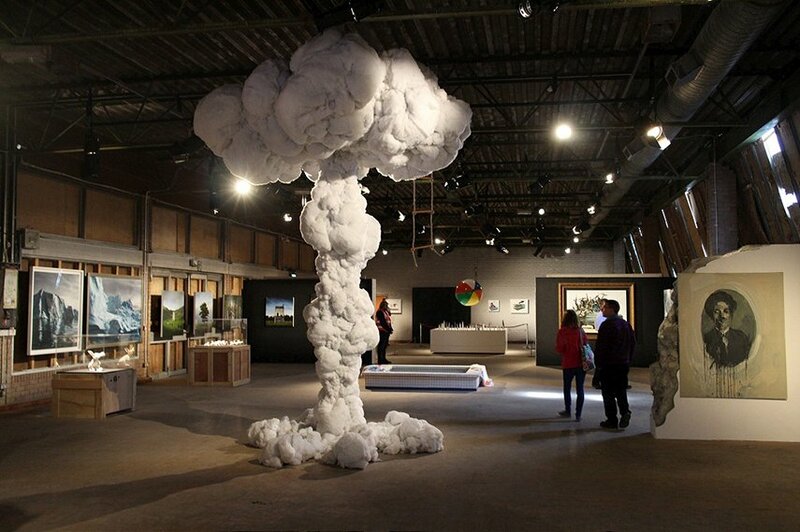 But, hey that was eight years ago, why not to give it another more attractive purpose. 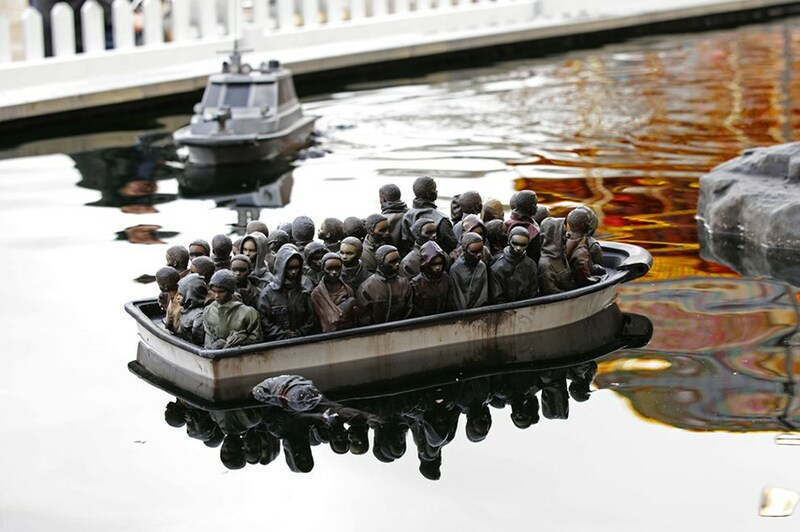 Disneyland travesty also includes three galleries showcasing the contemporary artworks of created by 58 renowned international artists. 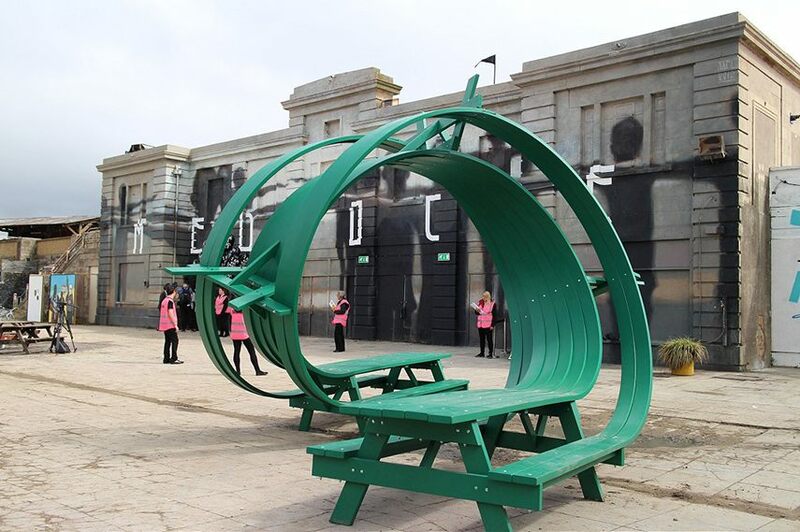 The works on display are conveniently chosen to go along with the dystopian theme and they were described by the UK street art legend as the finest collection of contemporary artworks ever assembled in a North Somerset seaside town. 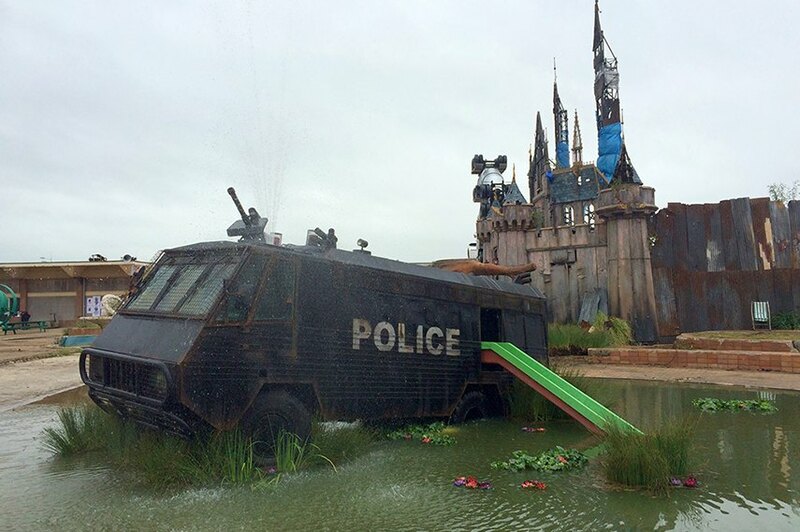 One of the highlights of the Bemusement Park is definitely an armored police riot vehicle transferred into a waterslide. 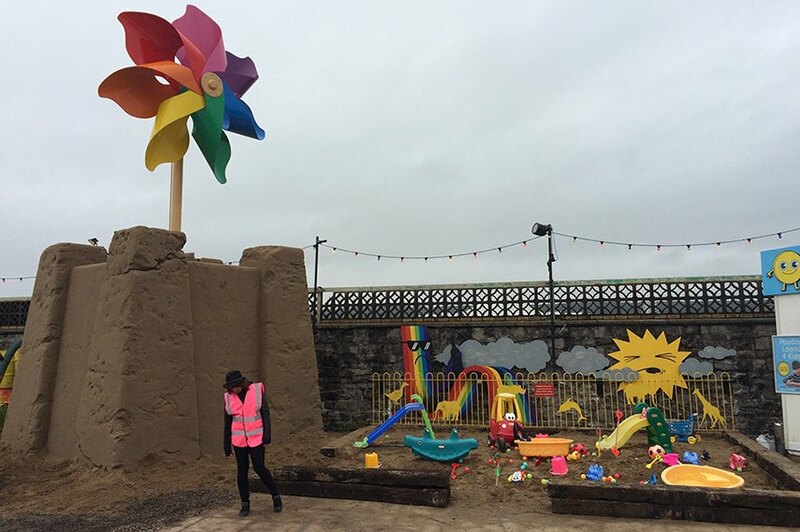 Placed on a swampy area just outside the princess castle this Water Cannon Creek installation will definitely make any child really happy. 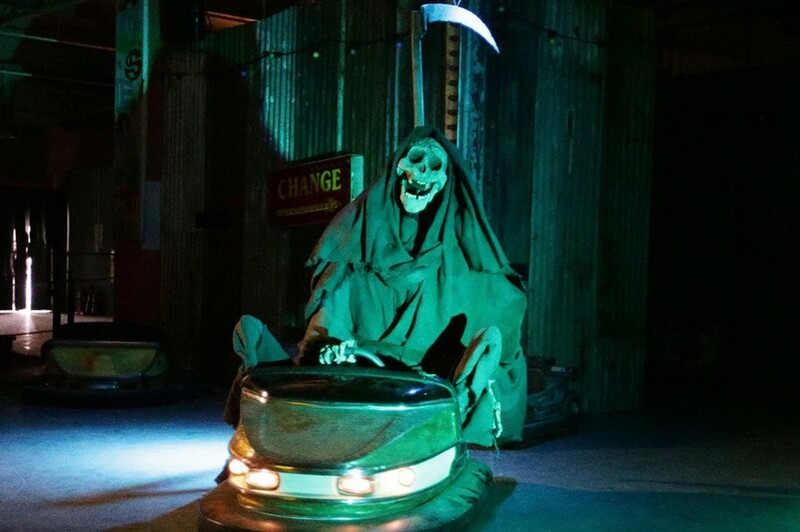 What else is there to see at Tropicana? 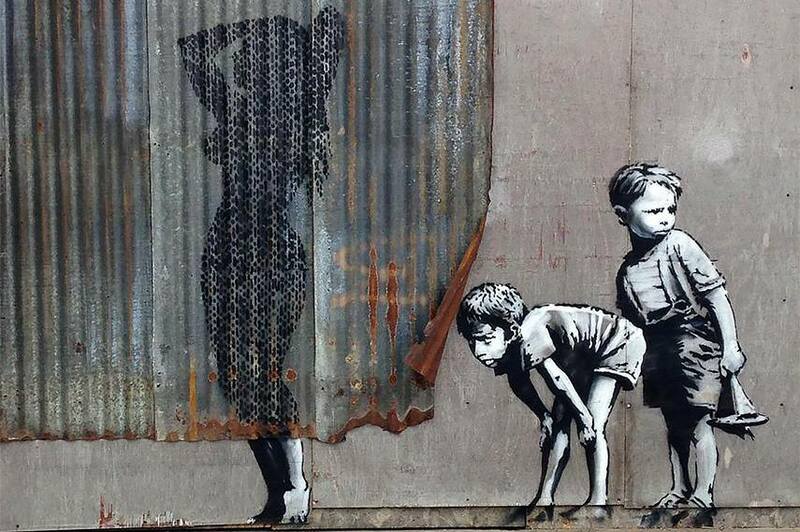 Well Banksy surely created a family-friendly environment with everything you need for your (un)pleasant visit to the amusement park. 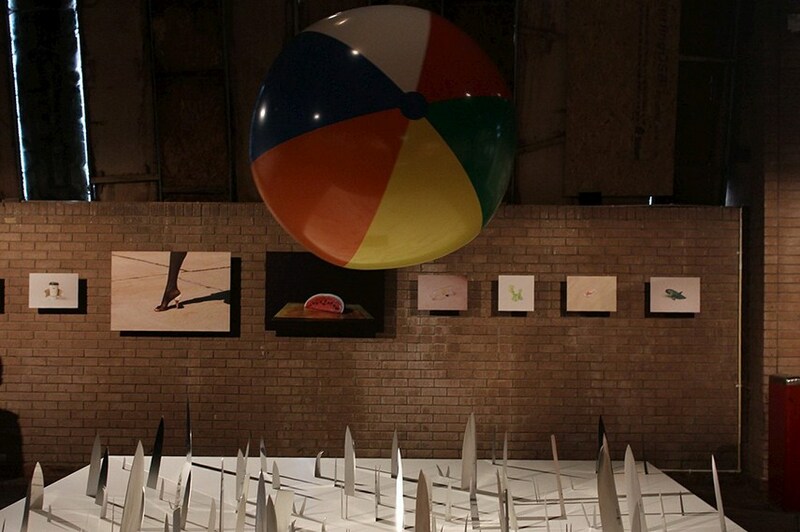 From the picnic bench by Michael Beitz you are not quite sure how to use, and mini-golf course where your ball is sure to get lost irretrievably after the first hit to the colorful to the safe children’s playground and selfie hole for capturing those perfect memories of your trip. 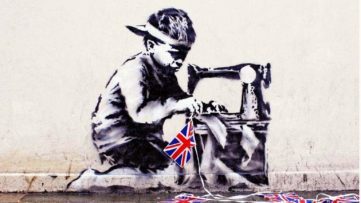 Frustrating and depressing or ingenuous creation, depending on the point of view, we have to admit that Banksy outdid himself this time, and he surely atoned to the fans for the recent period of inactivity. 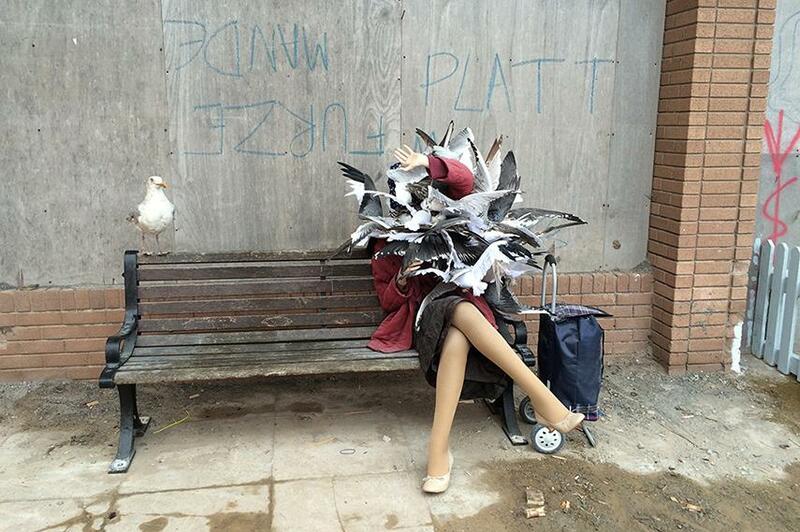 Are you already planning your visit to Dismaland’s ground? 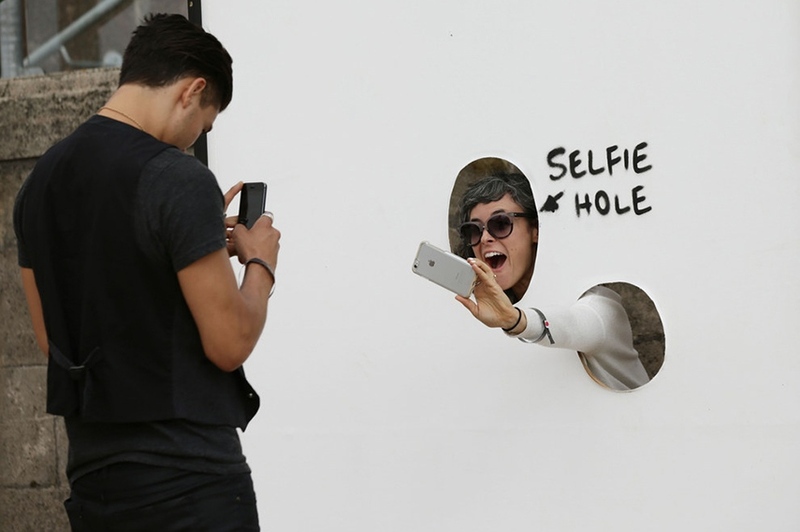 Tell us on our Facebook Page. 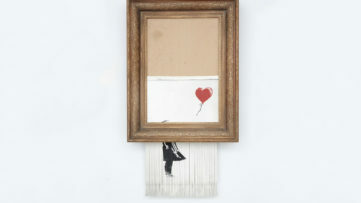 And for more art news, sign up for My Widewalls for FREE! 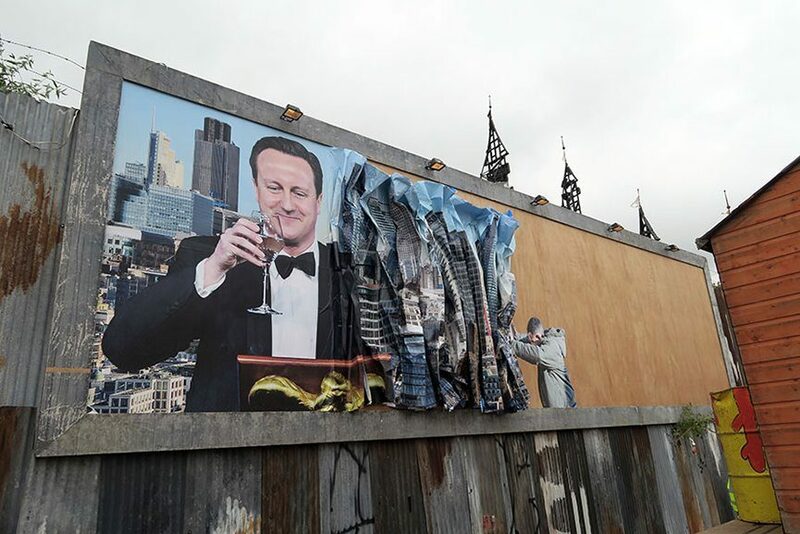 To see what else is inside this dystopian world , scroll down and have a peek….